Finding free money sounds impossible, but student loan forgiveness programs in Texas are proving that wrong. 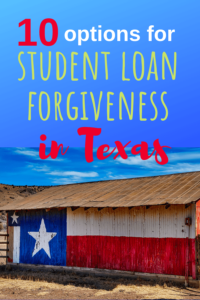 There are many Texas student loans forgiveness programs aimed to help you thrive financially. Each program has specific requirements for student loan forgiveness eligibility. These programs are are aimed at fields like healthcare, education and law. Keep in mind that many of these programs operate on a yearly basis depending on the state’s budget. Also, some may be inactive for a few years and become an option again later down the road. Here are the student loan forgiveness programs available in Texas. Texas is a large state with pockets of teacher shortages. The teacher loan forgiveness programs in Texas are designed to keep educators in the area. Applications for these programs are due in the summer, so be sure to look into them as soon as school gets out. This is an annual program where teachers can be awarded up to a $5,000 a year. Teachers can be eligible for a max of $20,000 forgiven over the period of time teaching in Texas. You must be a certified teacher and work full time. You also must work in a shortage teaching field or work in an area with a teacher shortage to be eligible. After applying to the program in the first year, you’re given priority as a renewal for future years. A focus on science, technology, engineering and math (STEM) has been a push for education in recent years. Texas wants to bring in teachers who show mastery in science or math to teach in public schools. To be eligible for the Math and Science Scholars Repayment Program, you must complete an undergraduate program in math or science with a minimum 3.5 GPA. You also must be a certified full-time teacher at a Title 1 Texas public school. You need to teach for eight years and can have a maximum $5,000 forgiven each year upon application, depending on state funds. At least four of the eight years must be taught at a Title 1 public school. You can’t have any other state or federal repayment assistance on your loans while on this program. Qualified educators at the university level are just as important as teachers in public schools. Texas has programs to improve college education by offering student loan forgiveness to faculty. These programs are an incentive for those who could have a higher salary elsewhere to stay in education. This program encourages nurses to enter or stay as faculty at qualifying universities. Nurses can qualify for up to $7,000 of loan forgiveness in a five year period. To be eligible for the Nursing Faculty Repayment Assistance program, you must hold a master’s or doctoral degree in nursing. You need to be a licensed nurse in the state of Texas and a full-time faculty member for at least one year at a qualifying university in Texas. Student loan forgiveness for nurses in the field can be a little harder to find. Look into federal forgiveness programs or Nurse Corps programs. You can find more options in the Student Loan Planner guide for nurses student loan forgiveness. Texas universities on the border of Mexico need full-time faculty. This program was designed to recruit those with a doctoral degree to work at one of several universities on the border of Mexico and Texas. To be eligible for the program, you must have received a doctoral degree after Sept. 1, 1994, from a recognized institution. You must also be employed full time for at least one year of teaching and listed as doctoral faculty. The current list of approved schools can be found on the Border County Doctoral Faculty Education Loan Repayment Program application. The maximum annual award is $5,000. You can take part in the program for ten years, making the possible forgiven amount a total of $50,000. At this current time, until August of 2019, this program is suspended due to a lack of state funds. Check for updates and renewal on the Texas Higher Education Coordinating Board (THECB). Healthcare graduates have some of the highest student loan debt. This number keeps rising every year. Texas student loan forgiveness is worth investigating to pay down student loan debt. Dentists are in need across Texas. This program is for all dentists working in a shortage area. These areas are categorized federally as Dental Care Health Professional Shortage Areas (DHPSA). You can find the entire list on the Health Resources and Services Administration website. Dentists in the Dental Education Loan Repayment Program can be eligible for up to $10,000 of forgiveness per year. Texas has 299 DHPSA’s within the state, leaving plenty of options to pursue this route. Within the DHPSA location, you must provide 12 months of service to patients. You also need to be a licensed dentist in the state of Texas. For all of these professions, the mental health services must be provided to those on the medical assistance program authorized by Texas or the child health plan authorized by Texas. The amount forgiven depends on your title and ranges from $10,000 to $160,000. To see the full eligibility requirements and the exact amount you can have forgiven, go to the THECB website. The amount awarded is based on a percentage of your total loan balance and the amount of time you spend working. The full eligibility requirements and application can be found on the THECB website. This student loan forgiveness program in Texas is for both primary care and behavioral health providers. You must work at a nonprofit Federally Qualified Health Center (FQHC) or an FQHC St. David’s foundation grant partner for 12 consecutive months. Loan repayment is dispersed each year over four years. All forgiveness is subject to continued grant funding. The amount depends on your specialty and ranges from a maximum of $15,000 to $30,000 annual award. To see the full list of specialties and eligibility requirements, read the St. David’s Foundation Public Health Corps Loan Repayment Application. Lawyers graduate with around $200,000 of student loan debt. Salaries vary, but Texas doesn’t rank as a high-paying state for lawyers. The Texas student loan forgiveness program is aimed at lawyers who make a low salary of $50,000 or less. This student loan forgiveness program in Texas is funded by the State Bar of Texas. Attorneys who work with low-income citizens can apply. To be eligible you must work in Texas and earn a low salary, typically of $50,000 or less. You should also be recognized as a lawyer by the Texas State Bar. The amount awarded is based on need and will be determined after submitting the application. You can submit the application on a quarterly basis. Besides this Texas student loan forgiveness, there are many federal grants and assistance programs offered for lawyers. The programs are based on need, the area of employment and who you serve. Don’t forget about the federal student loan forgiveness offered by the government. Public Service Loan Forgiveness (PSLF) is one of the most well-known. But there are many programs available for individuals with the occupations above. For example, the National Health Service Corps offers a repayment program for professionals working in shortage areas, regardless of state. Sometimes you can take advantage of more than one forgiveness program. Typically, you can’t do this at the same time. Compare the forgiveness programs you’re eligible for and put together a debt payoff plan that benefits you. If you need help with student loan forgiveness options, reach out to our team! Student Loan Planner always weighs your unique situation when creating a financial plan. 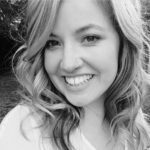 Bethany McCamish is a freelancer, teacher and founder of the His and Her FI blog. Her writing has been featured by multiple personal finance publications including Rockstar Finance, Women Who Money and Money Middletons. She believes that transparency and conversations about money are essential in gaining control of finances. When she is not working, she can be found hiking with her massive dog or traveling the world and taking photographs.